Reading through Facebook today l came across a picture which said “beauty isn’t about having a pretty face. 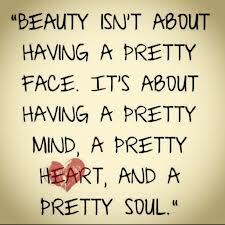 It is about having a pretty mind, a pretty heart, and most importantly a beautiful soul. Yes l am sure this is all true but what is beauty “a combination of qualities, such as shape, colour, or form, that pleases the aesthetic senses, especially the sight.” So now that we have that definition do you still agree with the above quote. Can someone with a very good heart and pleasing actions be considered beautiful? Ugly is defined as “unpleasant or repulsive, especially in appearance.” So do we have the right to call someone ugly if they do not appeal to our tastes? Now that we have the definitions out of the way let us get to the real issue of today. 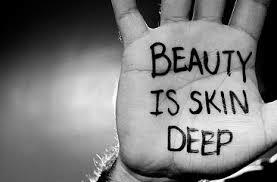 Is beauty really just skin deep. Is it about getting great genes and having fabulous hair and a well-shaped body? I am sorry to say but yes. People should first get attracted to the face before they start digging in deeper. Do you want to get married to someone who will describe you to his friends as just having a good heart of course not? 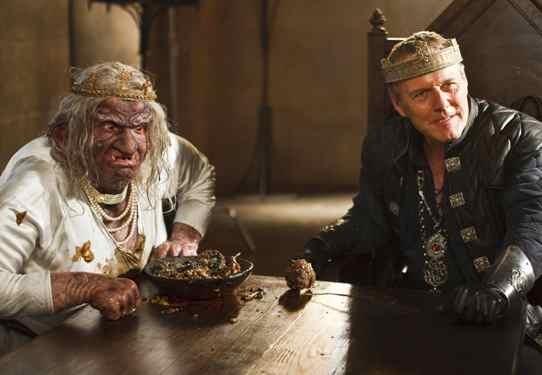 Even Uther in the series Merlin when he was married to a troll was still able to see its beauty. Though l must admit this is a bad example as he was under a spell. What people forget is that beauty is in the eye of the beholder so what might seem ugly and unattractive to some people might actually be the fulfilment of a dream to others. One man’s meat is another man’s poison. Wow l am so full of clichés today. But honestly if we all had fixed beliefs on what constitutes a beautiful person it will be chaos for the few since everyone wants the best. So now l must ask you all is it really all in the face. For those who are couch potatoes like me who have watched this really nice series dating in the dark will agree that looks matter. The candidates are first given a chance to get to know each other by dating in the dark. Then science calculates the most compatible couples. Then finally the most important stage, the couples finally see each other BUT in one way mirrors so they make the final judgement. You cannot see the expression of the other. The final decision is based on everything you have witnessed but let us be honest the looks hold the most sway. We humans have always been competitive maybe that is the basis for evolution. It might have become really fashionable to walk straighter and with less fur leading to evolution. Yes Karl Marx we humans evolved so that we could get beautiful. Yah fashion and competition led to evolution. In conclusion people beauty is definitely skin deep. Just know that somewhere someone finds you incredible beautiful. So even if it is about the face your face rocks. However you are free to disagree with me if you think beauty is not skin deep.